You don’t have to be a professional athlete or math genius to be recognized for your efforts. 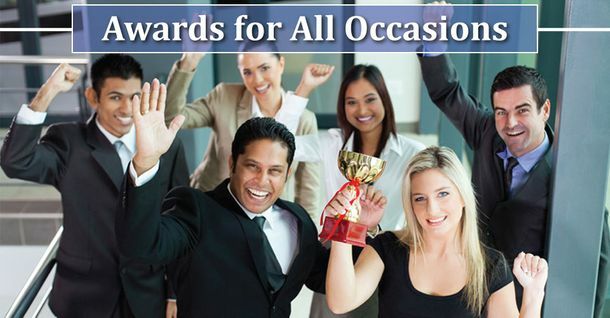 Sid’s Trophies in Oakville offers custom awards for all occasions—or even just for being you! Applaud an achievement, show appreciation for someone special, or memorialize a loved one. Whatever the reason, Sid’s Trophies has the award to help you celebrate. What started out as a hobby in 1977 quickly grew into a successful family-run business. Now we offer custom work and engraving, whether you need a wall plaque or a lapel pin. We can also do castings upon request and small signage, for desk plates or doors. If you need a banner or a custom job that we can’t carry out on our premises, we will take care of outsourcing the project for you. We like to do all we can to help reward the talented people in our community. This is why, apart from creating trophies and medals for athletes, we also sponsor local teams and sports clubs. We are proud to be active members in our community, and our commitment to our neighbours shows through our excellent reputation—most of our business is generated by word of mouth. It’s the small victories in life that count, so make the most of them with a personalized award. Place your order today. Official Trophy Provider for the Oakville Little League! Plaques, trophies, stylish giftware can all be customized! Have an item you want to use as a trophy? Bring it in! Clocks, gavels, paperweights, and much more!